"Their outstanding contributions to society resonate strongly with the ethos of St John’s"
Five distinguished people have been named as Honorary Fellows of St John’s College in recognition of their exceptional contributions in their respective fields. World champion rower Annamarie Phelps, businessman Mark Coombs, chair of the Food Standards Agency Heather Hancock, Biochemist Sheena Radford and The Duke of Cambridge have all been announced as Honorary Fellows of St John’s College, University of Cambridge. An Honorary Fellowship is the most prestigious award that St John’s can bestow upon eminent people who have a connection with the College, and who have attained distinction in their area of expertise. “I didn’t know what to expect from Cambridge, but St John’s College opened up a whole new world of possibilities to me"
Sir Christopher Dobson, Master of St John’s, said: “All five of our new Honorary Fellows are outstanding leaders in their different walks of life and they all share a commitment to promoting solutions to some of the major challenges that face the world – from sustainable agriculture to equality and physical and mental health. 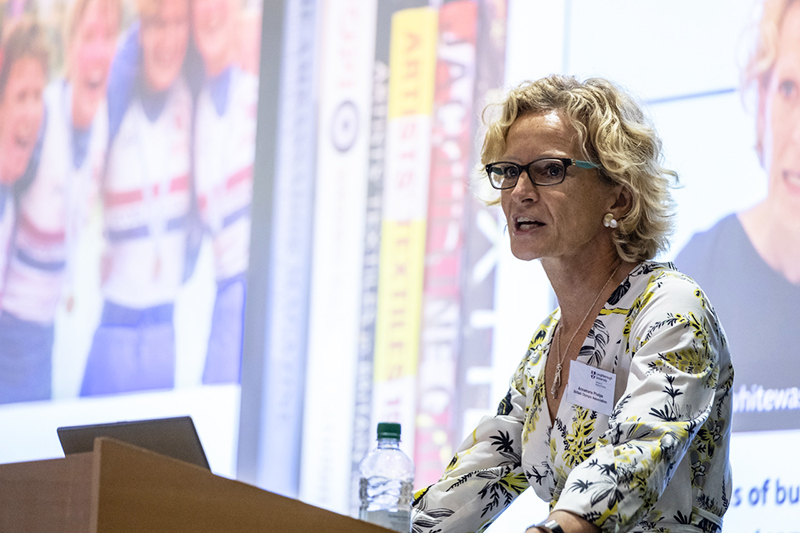 World champion rower Annamarie Phelps CBE is Vice Chair of the British Olympic Association, Chair of the Safeguarding Adults in Sport Strategic Partnership and an advocate for safe and inclusive sport for all. 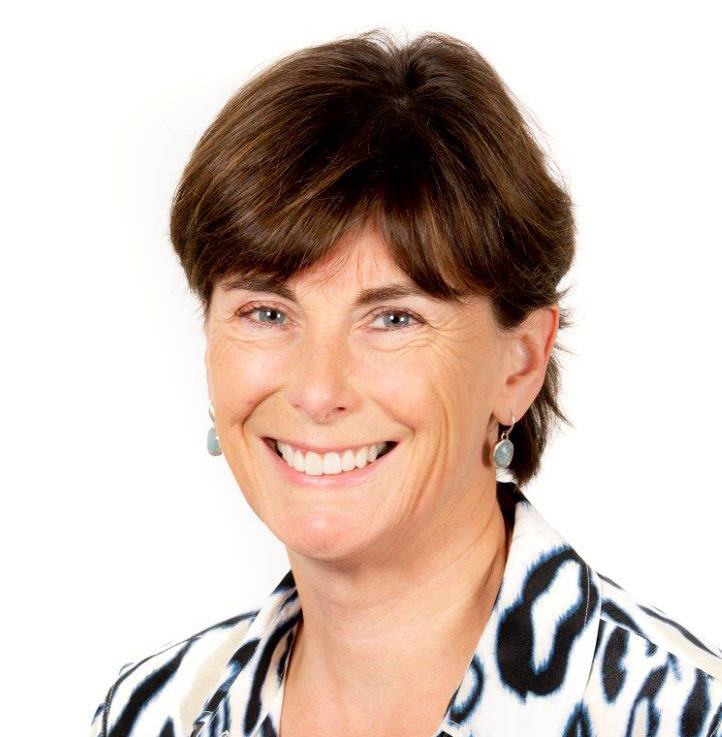 Former Chairman of British Rowing and Vice Chair of the British Paralympic Association, she helped steer both organisations through considerable change in structure and governance. Phelps was Lead Safeguarding Officer for British Rowing for 11 years, and oversaw the anti-doping, governance and equality policies within the National Governing Body. She was the first female board member of The Boat Race Company Ltd, and worked with universities, sponsors and men’s clubs to bring the Women’s University Boat Race to the Tideway in 2015. Phelps studied Geography at Cambridge and learnt to row in the Lady Margaret Boat Club at St John’s, she became World Rowing Champion in 1993 and she competed in the 1996 Olympic Games. In 2017 she was named as one of top 20 most influential women in British Sport. She said: “As a naïve 18-year-old state school pupil, I didn’t know what to expect from Cambridge, but St John’s College opened up a whole new world of possibilities to me. My tutors, peers, sport and studies gave me confidence in my ability to learn, to challenge, and to work outside my comfort zone. Mark Coombs is one of the most successful Johnian businessman of this (or possibly any) generation. He studied Law at St John’s in the 1980s and founded the Ashmore Group in 1998. Ashmore Plc is now one of the world’s leading investors in emerging markets and Coombs is its Chief Executive Officer and Chairman of the Investment Committees. The active philanthropist supports a wide range of charities. 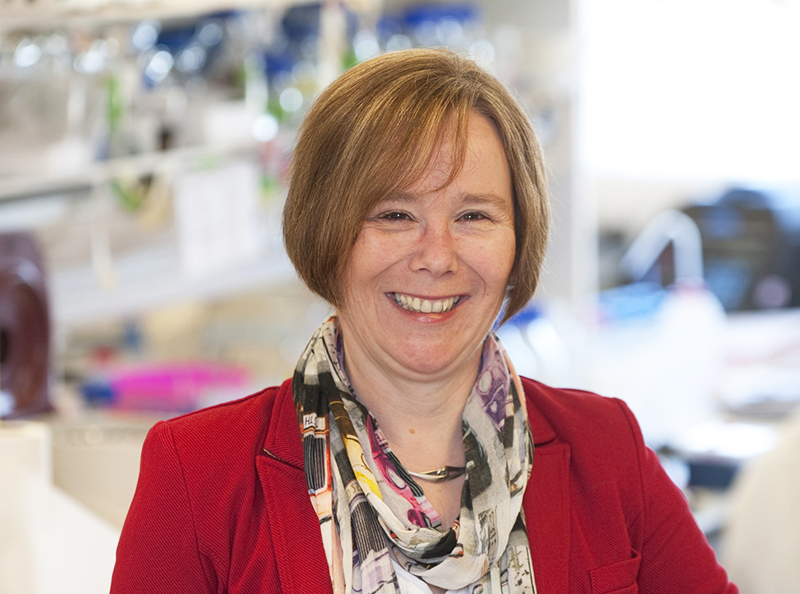 “I am absolutely delighted to receive this honour from the College in which I founded my research career as a PhD student"
Scientist Professor Sheena Radford is internationally renowned for her research which focuses on how proteins fold and unfold to cause disease. She completed her Biochemistry PhD at St John’s in 1987 and began her research career in Oxford. In 1995 she moved to the University of Leeds as a Lecturer and established a research group to focus on protein folding. In 1999 she was a founder member of the Astbury Centre for Structural Molecular Biology where she is now the director. She became Professor of Structural Molecular Biology in 2000 and was appointed Astbury Professor of Biophyiscs in 2013. Professor Radford has trained 100 postgraduate and postdoctoral researchers, published 250 peer reviewed articles and delivered 350 lectures all around the world. She was elected as Fellow of the Royal Society of Chemistry in 2003, the European Molecular Biology Organisation (EMBO) in 2007, the Academy of Medical Science in 2010, and the Royal Society in 2014. 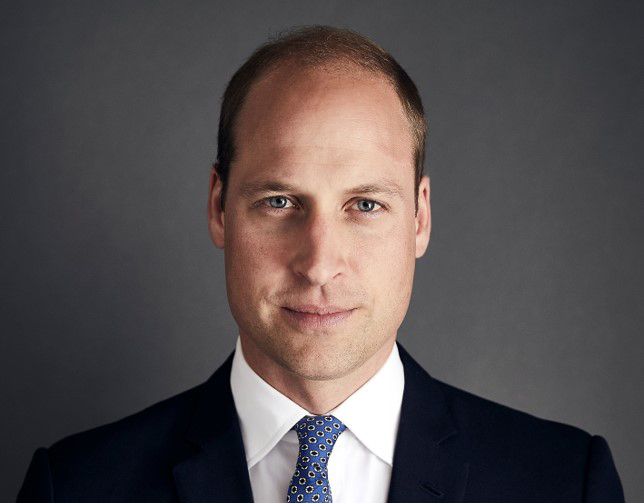 "Being accepted at John’s as an undergraduate, more than 30 years ago, was one of those rare life-changing moments that I’ll always be grateful for"
The Duke of Cambridge was elected as an Honorary Fellow of St John’s College in recognition of his promotion of a wide range of charitable activities. Through his charitable work, His Royal Highness has strived to raise awareness of how serious issues can affect young people, such as bullying, homelessness and mental health challenges. In 2016, The Duke convened a new industry-led taskforce to develop a shared response to the online bullying of young people. In 2017 he spearheaded the Heads Together mental health campaign with The Duchess of Cambridge and Prince Harry, leading a coalition of eight mental health charity partners to change the national conversation on mental health. The campaign aimed to build on existing progress nationwide in tackling stigma, raising awareness, and providing vital help for people with mental health problems. Conservation work and supporting communities to protect their natural environment for future generations has also been one of The Duke's key priorities for a number of years. The Duke first came to St John’s College in 2014 to complete an Agricultural Management Course with the Cambridge Programme of Sustainability Leadership at the University of Cambridge. He returned a year later to open the School of Pythagoras Archive Centre at the College. Heather Hancock chairs the Food Standards Agency (FSA), a non-ministerial Government department that regulates the food and feed industry, and chairs the Trustees and Group Board of Holker Group in Cumbria. Prior to joining the FSA in 2016, Hancock spent 11 years at Deloitte. She was a Managing Partner of the firm in the UK and Switzerland and she led Deloitte’s extensive services to the London 2012 Olympic and Paralympic Games. Having graduated from Cambridge with an MA in Land Economy, she began her professional career as a land agent before joining the Government Economic Service. She had a range of posts in Whitehall, including serving as Private Secretary to three Home Secretaries. She delivered an independent report to the BBC Trust on bias and impartiality in the BBC’s rural affairs coverage and served as Deputy Chair of the World Athletics Championships and Paralympic Athletics Championships from 2013-2016. She also spent more than a decade as a trustee of The Prince’s Trust. The new Honorary Fellow said: “It’s an immense honour to be elected as an Honorary Fellow of St John’s, a community and a place that’s very close to my heart. Being accepted at John’s as an undergraduate, more than 30 years ago, was one of those rare life-changing moments that I’ll always be grateful for.